Finding healthy holiday breakfast ideas among the hordes of sweet and sinful traditional breakfast fare is no small task. And stumbling on clean delicious recipes your kids will enjoy is even more challenging. 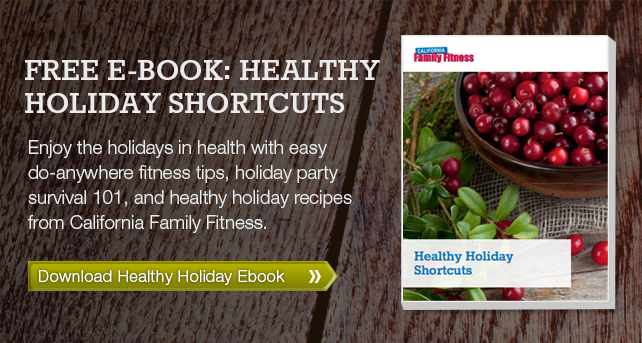 If fitness is important to your family, then healthy food is probably on your mind when you plan your holiday menu. Feed your family healthy breakfasts on busy days to keep everyone energized and happy, without weighing them down. This cheesy, veggie filled, easy to cook crowd pleaser is the epitome of a healthy breakfast food. Baked egg dishes are an easy way to feed large numbers of people, and you don’t have to stand over the stove monitoring the process, so you are free to enjoy the company of your family and guests. Eggs and feta crumbles provide a dose of that all important lean protein, while the whole grain pita gives the family some healthy carbs to keep energy levels steady, and prevent crankiness from low blood sugar. If lactose is an issue for any members of the family, you can swap out the milk for unsweetened almond milk, and replace the feta with a low lactose cheese option such as cheddar, parmesan, or swiss. 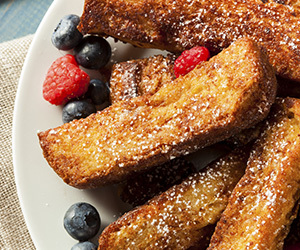 What’s even more fun than french toast for breakfast? Clean eating french toast strips that you get to eat with your fingers! Kids love this version of a classic breakfast dish, and you can cook a whole bunch ahead of time and just keep them warm in the oven until everyone is ready to dive in. Plus, each person can put just the right amount on their plate, so there is less potential for wasted food. Round out this fun and flavorful healthy breakfast idea with a side of fruit, and some pure maple syrup for dipping. You’ve got yourself a recipe for a happy family if there ever was one. Cookies for breakfast? Yes please! All you have to do is mention the word cookie before noon, and not only will your kids think you’re the coolest parent ever, they’ll be running to the kitchen to fill their bellies with this clean holiday breakfast treat that is not only delicious, it’s nutritious too. This cookie recipe is clean, gluten free, whole grain, and vegan. So if you’re trying to please everyone in one fell swoop, here’s your answer. Don’t forget to add seasonal fruit on the side for even more clean options for the kiddos. Give your kids the best of the holiday season this year by putting on a spread that is healthy, fun, and tastes good too!